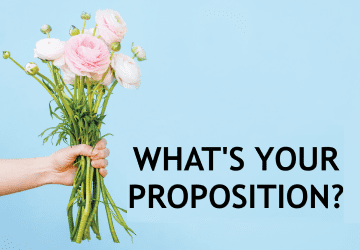 Richard Woodward’s seven-step process to building compelling propositions that will attract the right corporate partners to your organisation. Developing your proposition is a vital step in the process of securing corporate partners. If you are not sure what your organisation has to offer corporate partners or your prospects are not finding your proposition compelling, these seven steps will help you to determine what your organisation has to offer and build compelling propositions that will attract corporate partners. There are eight objectives that you can help a company address through a partnership with your organisation. Which audiences can your organisation help a company engage with? For example, attendees, subscribers, members, players, viewers, donors, visitors, exhibitors. What is the profile of each audience? Outline demographic information such as age, gender, income and geographical location and psychographic information or lifestyle interests such as media consumption, propensity to travel, and interest in specific products, information and activities. What is the quantity of each audience? For example, 10,000 members, 25,000 subscribers. Next ArticleIs Your Event Fundraising Going Well? What are you doing (or not doing) to keep your supporters engaged?